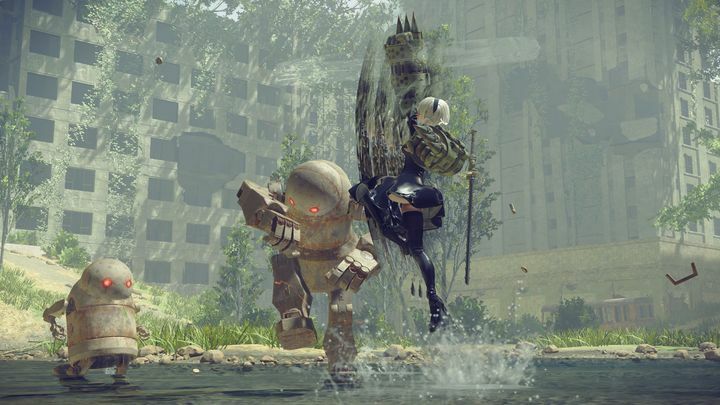 Nier: Automata by Japanese outfit Platinum Games sure is one of the most eagerly awaited video games of the year, and thankfully we now know when this role-playing game hailing from the orient will be released on PC. According to the game’s Steam page, this sequel to the earlier 2010 game Nier will be hitting the PC platform on March 17, 2017. This is one week after the game’s PS4 release in Europe, and 10 days after Nier’s North American debut on PS4 too. So luckily PC gamers won’t have to wait that long to get their hands on Nier: Automata, a game that has gotten some stellar reviews so far, with the likes of IGN saying of Platinum’s latest title that it’s “a great action RPG filled with beautiful locations and zany, fun-filled combat”, while the game’s Metacritic score currently stands at 90, no doubt an impressive achievement in this day and age. Note: Nier: Automata will be released on March 7, 2017 in North America, and March 10 in Europe. Available on PS4 and PC (March 17).